Zambia has seen rampant deforestation in the past decades and recent reports from the Food & Agriculture Organization (FOA) suggest the country now suffers the second highest deforestation per capita in the world. The per capita annual consumption of firewood in Zambia is estimated at 1,025 Kg in rural areas. The highest rates are found in the Southern province where deforestation has already impacted local climate, resulting in increased drought frequency and intensity, with negative effects on food crop production. The rural communities surrounding Dambwa Forest, located in Southern province just outside the city of Livingstone, will be the beneficiaries of low carbon cook-stoves for every household, thanks to the efforts of the African Lion & Environmental Research Trust (www.lionalert.org) with the generous support of the Woodspring Trust and the knowledge of improved cookstove technologies from CO2Balance. Prior to implementation of this project a sample of households were assessed for current wood usage, having an average of 1,231 Kg per capita annual consumption. Following a lengthy design process with the assistance of CO2balance, a stove design was created to make use of locally available resources, the majority of which come from sustainable sources. 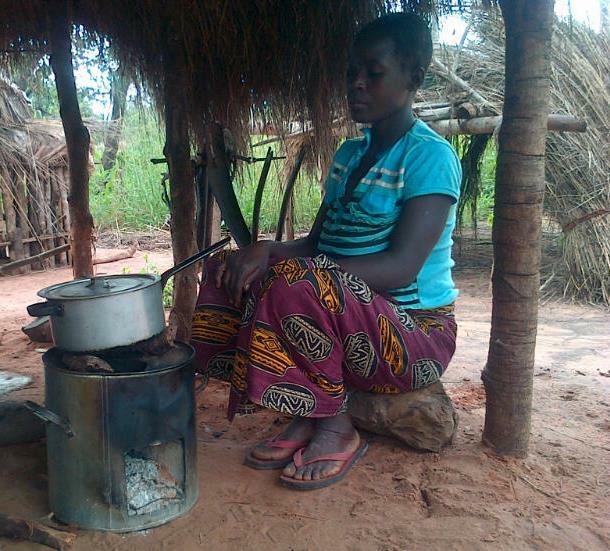 As a pilot of the full scale project the first stoves created have been provided to households and their wood consumption reassessed to measure the efficiency of the design. The results show a significant decline in wood usage to a per capita annual consumption rate of between 337 and 435 Kg – an average 69% fall from previous rates. These results are within the expected range of efficiencies, although we are hoping to increase this through feedback from the families using the stoves, as well as from improvements in the manufacture process as we commence mass production. Feedback from the families that are using the first stoves has been extremely favourable, reporting that they are able to cook all the foods they usually do on the stove, in the same time as on an open fire, and that smoke from the stove is less than from traditional cooking methods. co2balance’s improved cook stove project in West Kisumu, Kenya has recently seen exciting progress as plans to introduce the new artisanal stove start to move forward! 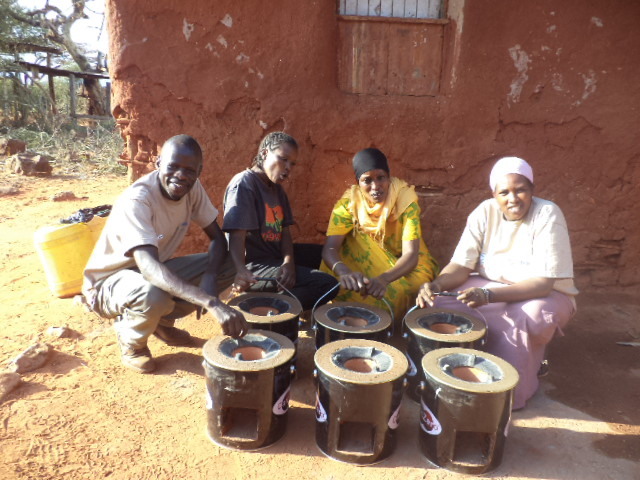 The locally produced stove will soon be available to purchase at a highly subsidised cost thanks to carbon finance. With a workshop space secured, we look forward to our local artisans beginning construction in the coming weeks!